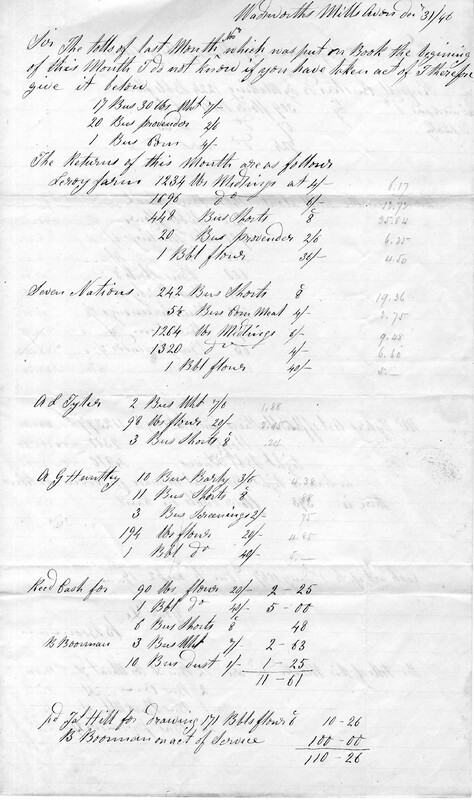 The document also lists December returns from several local farms, including flour and other grain products produced at the mills. Paper ledger, 15 x 12.6 in. folded to 7.5 x 12.6 in. 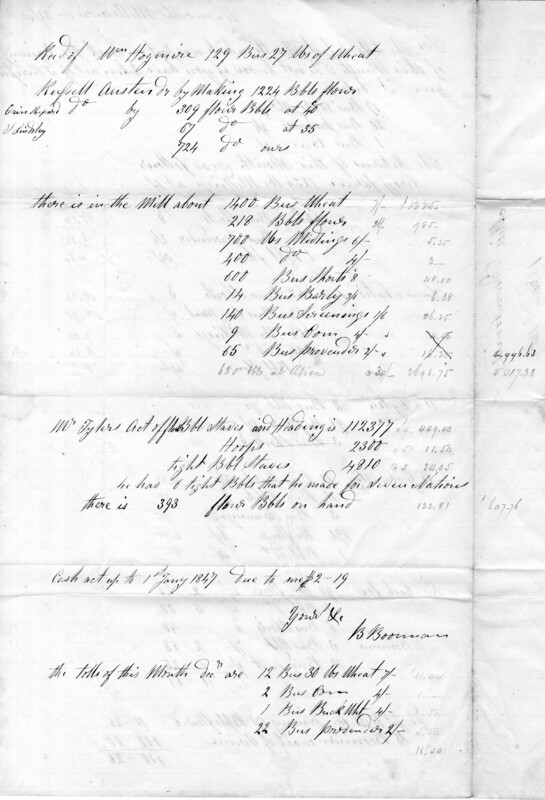 Boorman, B., “Genesee Valley Canal tolls paid by Wadsworth Mills, Avon, N.Y., November-December 1846,” OpenValley, accessed April 25, 2019, https://openvalley.org/items/show/65.